Item # 180025 COLUMBIAN CENTINEL, Boston A lot of six 2nd rate issues dating from 1795-1799. Various news of the day from this famous colonial town. 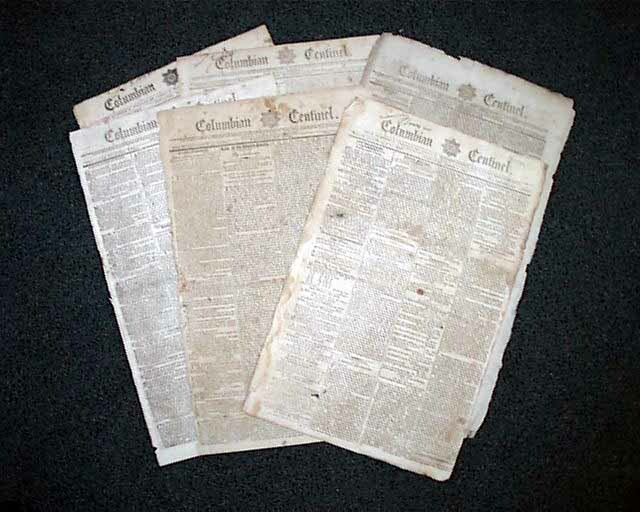 This was arguably the most successful & well-known newspaper of in 18th century America. Could contain close-trimming, staining, archival mending, etc., but will not have loss of text. Please note: The S&H for this lot is a bit higher than that of a single issue, and being a wholesale lot, is not eligible for free shipping.